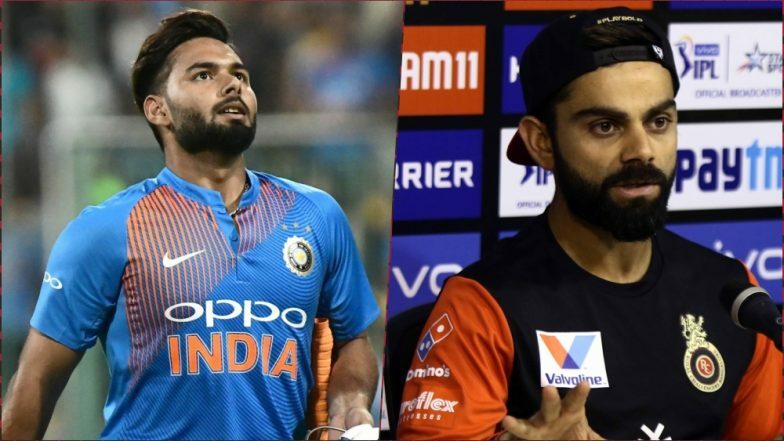 Virat Kohli's Anger Scares Rishabh Pant, Wicket-Keeper Admits in Video Posted by Delhi Capitals! New Delhi, March 23: Young India stumper Rishabh Pant has said anger of national skipper Virat Kohli scares him. In a video posted by his IPL team Delhi Capitals on the official website, Pant said: "I am not scared of anyone. But Virat bhaiya ke gusse se dar lagta hai (I'm scared of Virat Kohli's anger)." Virat Kohli Loses his Cool in Post-match Press Conference: Watch Video of Angry Indian Captain During Interview. "If you are doing everything correctly, then why he (Kohli) should get angry? But if you make a mistake and someone gets angry with you, it's good because you only learn from your mistakes," he said. Pant is likely to replace experienced Mahendra Singh Dhoni once he retires. However, the youngster's wicket-keeping skills were questioned during the fourth ODI between India and Australia in Mohali, recently. Kohli was seen disappointed as Pant had conceded a single while attempting a Dhoni-like stumping during the match.